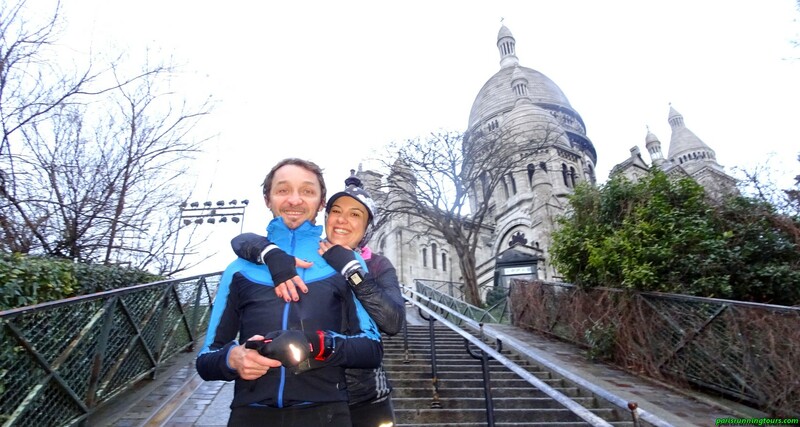 In Montmartre with the imposing Sacred Heart – Thank you Daniele and Marina! 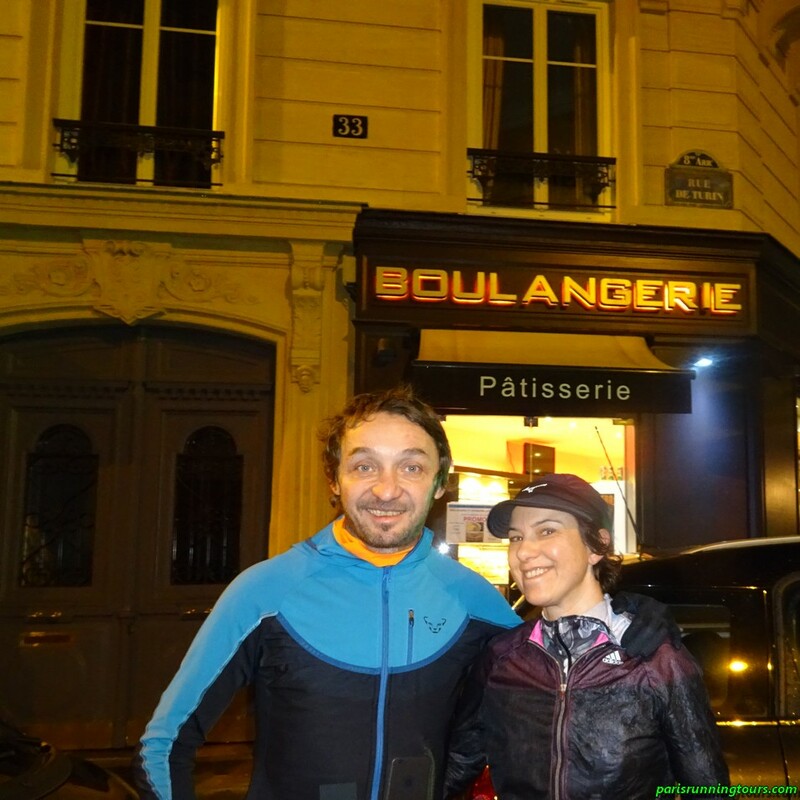 Daniele and Marina from Turin regularly come to Paris. 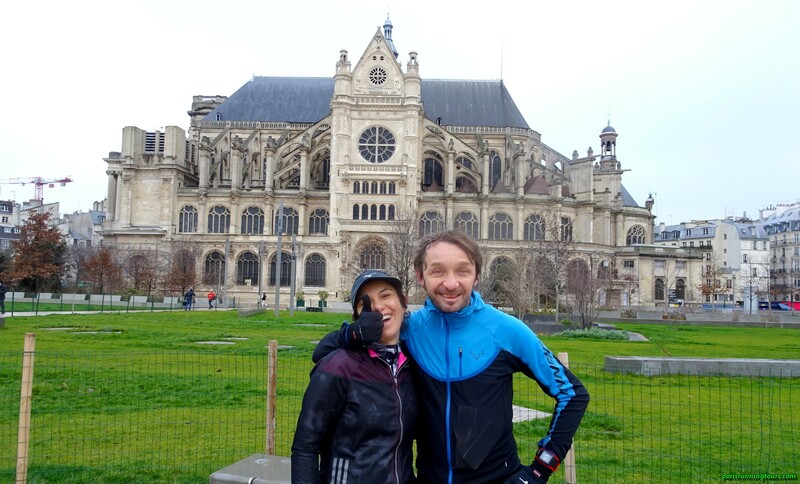 We had the pleasure of doing a new Paris running tour together, a beautiful 18 km race in a rather cold Paris. This time, we explored the north of Paris (last February, we had covered 20 km around the Seine). 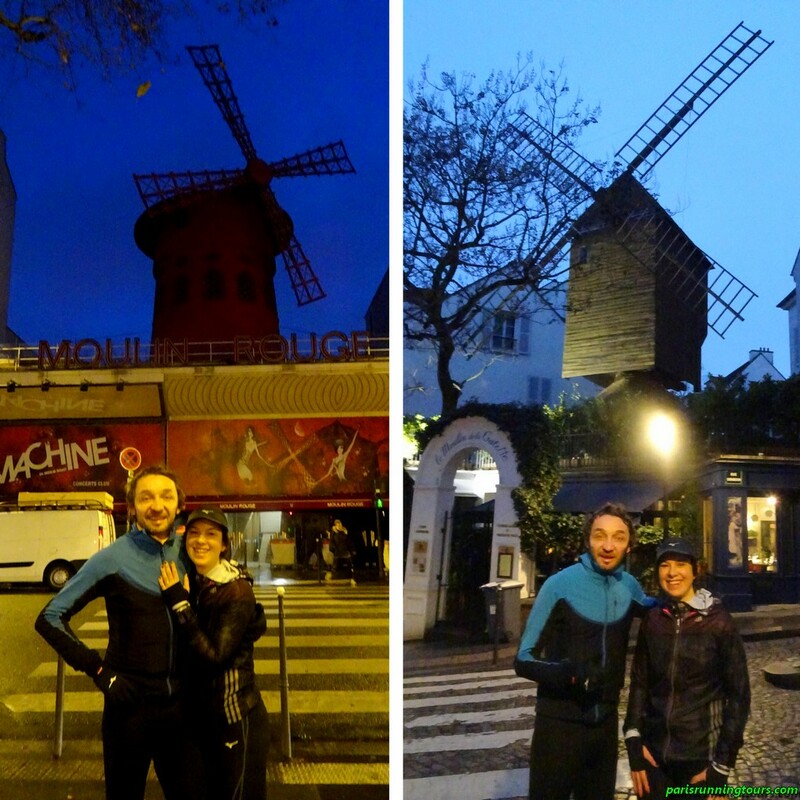 In Montmartre, we went to celebrate Marcel Aymé, here immortalized as the “Passe Muraille”, the hero of his famous novel. The statue was created by his friend, the actor Jean Marais, just in front of the writer’s house. Who remembers the inauguration of this work in February 1989? Exactly 30 years ago! 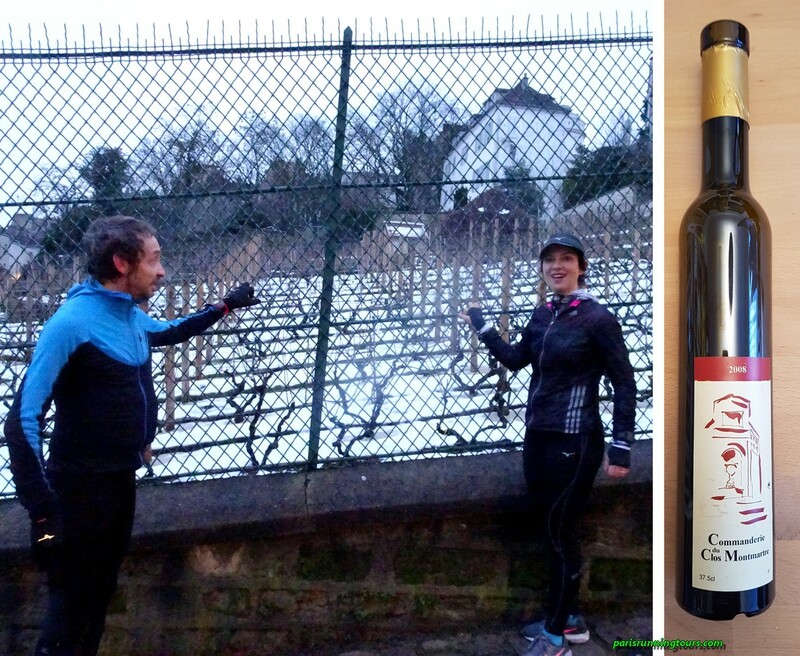 We made a detour to see the Clos Montmartre. The vines are sleeping under the snow this February. Come also in October to participate in the Clos Montmartre grape harvest festival (“La fête des Vendanges du Clos Montmartre”). Many thanks Marina and Daniele! We look forward to meeting again next year (or perhaps earlier).